Occasionally I read a book. There you have it. It’s out, the confession the whole world needed to hear. I read books. Does that make me a bad person? That was a weird outburst even by my standards. I have someone to blame this time — Gillian Flynn, author of one of the most PMS inspired books I have ever tried to read, Gone Girl. Every stinking character in this book defies the rules of sensibility, guided by something outside of themselves and controlled by nothing logical, all in a haze that makes you want to shake them all. Even the male characters, especially the male characters, have a cluelessness about them that makes me put the book down after ten pages or so, just to allow the frustration I feel for the characters to subside. The characters are one dimensional, each defined by one flaw, defined really by their flaws only and in a way that makes me want to intervene, crawl in between the pages to put them out of their misery. They are mired in a haze created by their creator. Gone Girl is a story about Nick and Amy Dunne, writers who met while living in New York, Amy the daughter of author parents and from New York, parents who are independently wealthy on money earned from a series of books called Amazing Amy.. Nick is a working class Missouri transplant, a magazine writer, a twin, ruggedly handsome (of course) who sweeps Amy off of her feet at a party. They both lose their writing jobs, move to Missouri at Nick’s urging, where Nick opens a bar with his twin (Margo or Go) using money that Amy has left from her trust fund. Their five year marriage is rocky, culminating with Amy’s disappearance on the day of their five year wedding anniversary. We find out the details of their relationship with alternating accounts from Amy’s journal and from Nick’s first person narrative. Nick, of course, becomes the main suspect in what is assumed to be a murder. And that’s where I come in — because I want to murder them both and get it over with. Why am I still reading this book? A friend of mine recommended it highly, as did the librarian at my local library when I asked for the book. Both said it was one of those books they couldn’t put down. I did originally like the style of writing, the mix of first person narrative and journal. I do want to see what happens. Maybe the strongest motivation is simply my resolve to not let this book beat me. Oh, and the author lives in Chicago. I have to give her a chance. So I will resist the urge to jump between the pages to end the misery of each character, instead I will plug away until the end, a Midol buzz ringing between my ears. If only I could join in. Yes, I said “blue weiner”. Saturday I discovered the other effect riding a bicycle too long has on my body. My feet were not the only limbs that required thawing out before I limped into the shower. Gingerly I placed myself in the tub, allowed the lukewarm (not hot) water to pour over me, careful to make sure that my frozen toes did not receive a direct hit from the shower spray. I had allowed time for my body to thaw out before getting in the shower, ate some hot soup, consumed some hot coffee, waited for my tired legs to return to some semblance of normal. If I had simply gone right for a hot shower before thawing a bit, my frigid feet would have been burning with pain. My body relaxed as the warm water soothed. I snorted the bar of Irish Spring in my hand, my eyes opening wide, the cleansing ritual about to commence. Scrub a dub dub. Pits, neck, arms, chest, and… wait. Something was, argghhhhh, was BLUE!!! Say whaaaaaaaat? Oh geez, if it’s frostbitten then I have to go to the emergency room. What would be the treatment for that? Massage to restore the blood circulation? Oh geez, am I getting rude here. Looks like my true colors (snicker) are coming out. To make a long story short, Little Henry eventually returned to his proper hue. All is well, the hospital spared a case of frostbite. Saturday afternoon presented another challenge to my extremities. The family van required urgent attention. Thursday evening, as I pulled into our driveway, Miriam was waiting for me in our van. She had just been informed that the brake lights were out and needed my confirmation. Yep, the middle and driver’s side lights were out. Mir was frantic, as she usually gets (cough, cough), didn’t know what to do, didn’t know if she should drive the van. Really there was no choice. I was not about to leave the house as I was tired and ready to relax. She can’t drive the PT Loser. It doesn’t have power steering right now. I told her to go and if she gets pulled over, explain that she just found out about the lights being burned out — and that she would have someone replace them on Friday (cough, cough — it’s always my job to get it done). So here I was Saturday afternoon, rubber gloves on, cursing the numbskulls who made that upper middle brake light bulb so difficult to get to as my fingers turned to ice. I got it done, even replaced the windshield wipers and fluid while I was at it. I came in the house gritting my teeth as my fingers burned while they thawed. But I got it done. There are other winter woes. My PT Loser is always a challenge since it rarely has enough power to start the engine on the real cold days. I can jump start the car in a minute now. The kids haven’t gone to school on a Monday since before Christmas. They are out today due to cold weather, likely will be tomorrow also. Nate loves it. 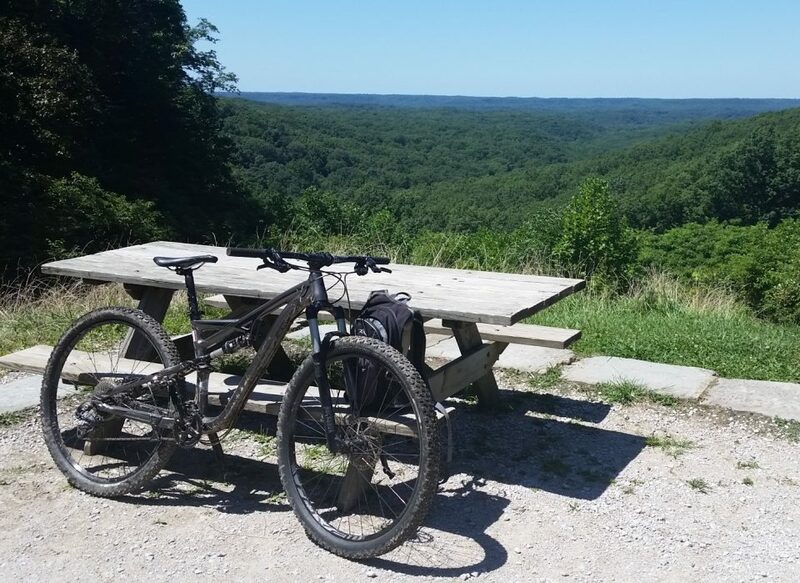 “Desperation Ride” was the title of the email my friend, Jon, sent to me and a few of our riding friends yesterday morning. It’s January. Real winter for once in northern Illinois, the kind of winter that makes you think twice before going outside for any period of time. Cyclists get real stir crazy this time of the year, anxious for the warm months that still seem so far away, tired of the treadmill existence of indoor bicycle trainers. Unless you are my friends. Jon meant it when he sent the email to us asking if we would be interested in a Saturday morning ride –“let’s go early — the day gets worse this later it gets”. Grab the cold weather gear, set the air pressure in the studded tires on our mountain bikes, go for a ride. Even better let’s make our destination Lake Ellyn, a small lake in Glen Ellyn (Illinois) where they actually clear the snow off of the lake and make it available for skating. I said yes, count me in. No one else besides Jon could ride. Jon is a much better cyclist than I am, better than most people. But I like to ride with him, especially on days like today. He doesn’t mind that I am slower, just that I like to ride. So I dressed in heavy cycling tights, layers on top, shoe covers, helmet liner, face mask and rolled out of my garage by 7:45 this morning to meet Jon a few miles away. The temperature was a comfortable 28 degrees F, cloudy with a brisk wind to my back as my tires crackled on the icy pavement as I pedaled away, a bit apprehensive knowing the morning ride was going to be a challenge. The weather report said that it would be getting steadily colder by the hour, predicted to be below 10 degrees by noon, the time we likely would be done riding. With the wind at my back, I didn’t care, the blood moving through my veins warming me as the exercise sent it coursing just a bit faster. Jon was waiting for me at the designated spot, greeting me enthusiastically as I pulled up, already pedaling towards the path we would be taking to start out. The night before had brought a blowing snow, leaving a few inches of fresh snow on the path, patches of ice hidden beneath. That snow made riding a bit more challenging, the added resistance against our tires giving a grueling work out as we strained at times to keep our bikes moving, the metal studs on ours digging in and giving us the traction we needed. Even more of a challenge for me was fogged glasses when my breath warmed the face mask I was wearing, the mask directing the breath into my eyes. In order to see the path in front of me, I had to pull the mask down. At one point we had to pull over to the side of the road as snow plows passed, the spray splashing against our legs. It didn’t matter. We were riding outside, enjoying the peaceful quiet of the morning, the comraderie of two cycling nutcases as we braved the elements. I forgot how much of a ride it would be to our destination. It’s not a long drive by car, but it can be a long ride, especially when zig zagging along side streets on heavy mountain bikes. However, we were rewarded by the sun coming out, shining brightly on the snow around us, warming us a little more. Even better when we reached Lake Ellyn, the lake almost completely free of snow, the crews finishing up their job of clearing the lake as we pulled up. Studded tires are FUN on a frozen lake. We zipped around, the carbide studs on the tires digging in. Jon and I raced to each side of the lake, intentionally sliding sideways with one foot down as we reached each end. A crowd of children watched from the dock, bundled up and preparing to skate, occasionally yelling “FASTER!! 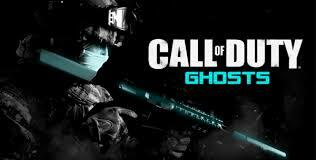 !” or “COOL!!! !” as we raced by. When we were through riding the lake, a couple walking their dog along the lakeside path stopped us to tell us how fun it was to watch us enjoy the ice, something unique, impressed that we did not let the cold stop us from getting outside. It was a great ride. We stopped on the way back for coffee, people curious to see us pull up on our bikes, interested in the clothes we wore to survive and wondering if we were warm, if our riding our bikes on the ice and snow was dangerous. And then we turned back, the wind colder and in our face, fatigue setting in. We had been out riding more than three hours. Jon was OK, but I had surgery in the middle of November. My fitness is a bit behind. For the last half hour, my knees hurt and I began to get very cold. It took everything I had to keep pedaling. But I did. I had to or else I was going to freeze. Mir took one look at me as I stumbled in the door. The clock read 12:06. I had ridden nearly four hours. Yikes. No wonder my body was complaining. I took some time to warm up before getting in the shower, had some warm soup and coffee, then took a nice long hot shower followed by a half hour nap. It was wonderful. Fantastic. Cold. And so much better than sweating bullets indoors on a trainer! And the Dookie goes to….. 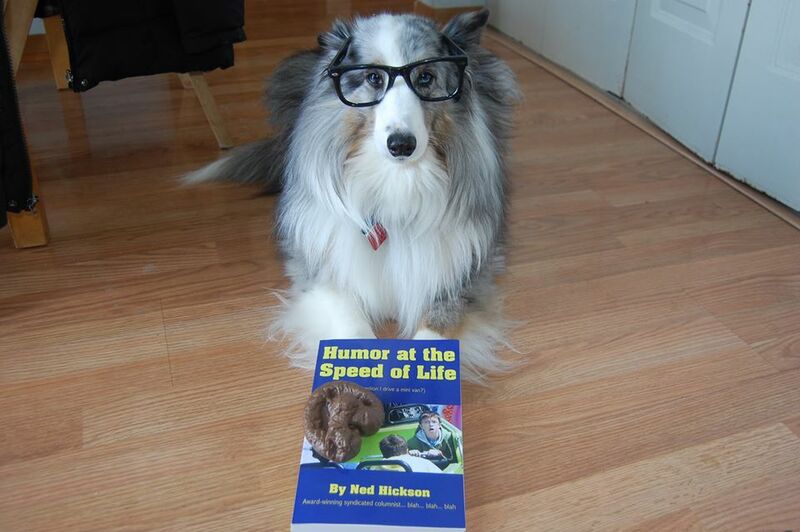 It is my extreme pleasure, as agent and handler, to announce the noted book critic Nicholas H. Sheltie has awarded the 2014 Dookie of Distinction to fresh out of the cat box author Ned Hickson for his newly released book “Humor At The Speed Of Life”. Nick contemplates every award carefully in my back yard, the placement of each chosen with the utmost of aim. Don’t let the glasses fool you. Nick is no myopic misfit. Nick enthusiastically encourages this book to be read on Wednesdays. After all, it’s hump day. Nate deftly navigated the video game war scenario in front of us, his reactions amazing to me as he ducked and dropped and outgunned the opponents that flew at him from their hiding places while he navigated the freight yard. Not only is he skilled, but the ability my son possesses to make lightning quick decisions, smartly anticipated moves, show me a natural intelligence he often fails to show me, his teen indifference the buffer. The kid is sharp. If he showed the same kind of skills in other areas of his life besides playing video games like Call of Duty, his future is bright. I ponder that for a moment as Nate maneuvers the game controller to shoot one soldier in front of him, the bullets from the opponent’s gun blazing past him, simultaneously rolling to shoot the opponent behind him, then shooting another would be destroyer perched in a window above. I do not want to lecture Nate about life during these moments. Maybe I could ask him to notice what he is able to do during those games, but for us it is about enjoying the games together, my normally very teenage son taking pride that his father is a gamer. He actually tells his friends that. The fact that it is only partially true does not matter. I like playing the first person shooter games like Call of Duty, really the only game I play on a regular basis, keenly aware of why I enjoy the game — I am a boy. Boys like guns. They like playing army. Call of Duty is playing army in the best way possibly imaginable. When I was a boy, playing army was something my neighborhood friends did all summer, but we had to wait until everyone was able to come out or quit when it was dinnertime or time to come inside because it was dark. Now, because the game can be played online it can be played any time, without knocking on doors to see if my friends can come outside. Nate has his own version of that, however, his friends contacts on his online account. He looks them up and invites them by instant message to a game. Gun games. Army. The language of boys. Competition at the touch of our fingertips. I could quit writing this blog entry right here. The girls don’t understand. Those violent video games are disgusting. Why do you guys want to play those games? Aren’t they ruining your mind, making you more aggressive? If that were the case Nate and I would have drawn and quartered Miriam many times as a reaction to her constant distracting critique as we play, asking those same questions over and over again out loud, ad nauseum. Rarely does she get more of a reaction than a roll of the eyes and ‘Really?’. The girls really don’t get it. They criticize our disgusting, violent, competitive natures that crave those shoot ’em up, blow ’em up games. I could say that they simply don’t understand the guys, but that really is not the main issue. What they really don’t understand is the nature of competition, that competition is not a male trait. It is a human trait. Do I even need to make a case? Girls compete. I have a seventeen year old daughter. Oh, they don’t beat each other up on the sports field, don’t play games with toy guns, although some do. No. They are worse, meaner than most boys, their competition mental and emotional. Competition is made worse by standards set up in teen magazines, movies, books, even lyrics in Taylor Swift songs. NEWSFLASH!!!! I AM A GENIOUS!!!! I have discovered the cure for the flu. That’s right, after many years of anxious procrastination, I have finally figured out an instant remedy to all of influenza’s dastardly symptoms. Thank you. Please pay your bill upon receipt. Those few sick individuals who have read past blogs of mine might recall that this is also my solution for mechanical failures, especially for cars. I do not take my car to the doctor, however. I take it to a mechanic. Thank you. Please pay your bill before driving away. Wednesday afternoon, on cue with work perfect attendance being reset at the first of the year, I began to experience the onset of flu symptoms. Since I often feel flu like symptoms while at work, I was not sure I actually had the flu. Coughing fits began to erupt, especially after reading your blogs, and I began to feel achy (and it was Wednesday, not Tuesday). My cheeks were flushed, so was my face, with fever. My coworkers, all of them, thought it was a bit odd to find me checking out my cheeks in the bathroom mirror. By eight on Wednesday night, I was wrapped in several blankets with a raging headache, my only choice to escape the headache was sleep. And that I did. Miriam used to think I was strange (like most) because my usual reaction to the flu or a strong cold is to drink a lot.. of water.. and sleep. Rest. Rest. Rest. And pee a lot. Over 36 hours straight of sleep, until mid morning Friday. No, I am not a weenie. Sleep works. Flushing the crud out works. And so does going to the doctor. Going to the doctor is always Miriam’s first solution for sickness. She woke me up several times on Thursday to tell me to go to the doctor. Yesterday, Saturday, she hounded me about at least going to the urgent care center. She needed me to take Alyssa to work in the morning. Why not stop by urgent care on the way home? I actually sort of possibly maybe listened. I actually drove to the urgent care, got out of my car (I still felt minor flu nastiness), walked into the building to see the waiting room overflowing out into the lobby. Forget it. No way am I waiting three hours with sick people, even if I am used to it, just to see a doctor. Those three hours would be better spent at rest. So I went home. Rested. Then went back today. The wait was about thirty minutes. All I had to do was go to the doctor. CURED! I just feel like saying that right now. nothing that is really causing me to say that. Bleah just seems like a fun word to say right now. It looks even better written in front of me. I think I will italicize it and add a bold font. Yippee. That makes me smile. This has been one of those days that has not gone as intended or planned. I am on a one day weekend, yesterday the one mandatory Saturday work day of the year, so I planned to do my own thing most of today. Do the checkbook. Pay the bills. Read a book while kicking back on the couch watching the Packers get demolished. Take a shower and shave. And it’s 5 PM with none of the above accomplished. Today has been a very snowy Sunday. My wife does not drive in the snow. I love love love LOVE driving in the snow. So I have been running here and there and everywhere since around noon. Right now I am waiting for my kids to get out of the movie they are watching, sitting in a restaurant goofing around with my laptop. So I say ‘bleah’. And ‘yeah’ because I AM getting to drive in the snow. Looking forward it looks like there is a lot of potential for stress. Thursday, as I walked from my car into the building at work, an ambulance pulled up and picked up a coworker. Mike is the other senior guy in my department, the one who makes life easier for me. He had a heart attack, minor but still enough that he won’t be back at work until next month at the earliest. I know who will be expected to pick up his work load. Thank goodness one of my biggest headaches, main contact for our facility in Shanghai, is now being shared amongst my department rather than all their requests being handled by little ol’ me. I have a two million dollar project to finish tomorrow, then my boss will be looking at Mike’s projects to see what needs to be done. On the up side, the added hours will mean a better paycheck. I get paid hourly. My body is weird today. Just today. I had a lot of coffee this morning, a chocolate chip cookie for breakfast, and a Big Mac for lunch. Not only am I not hungry, I feel stuffed. Weird. I should be hungry. Speaking of dinner, I met some old friends on Thursday night for dinner, people who had been employees of mine over 25 years ago when I was a manager for Bob Evans restaurants. They found me on FB before Christmas and it’s been fun reconnecting. However, 25 years is a long time. I was a bit reluctant to meet them because, well, I am 52 years old now, pudgy from the holidays, and did I mention I am 52 years old? I had to stuff the feelings of inadequacy, say it really doesn’t matter what I look like now, just have fun meeting old friends. Good thing I did. It was only an hour or so, but a lot of fun. Weather forecast is calling for temperatures below -10 degrees. Should be interesting tomorrow. My PT Loser is NOT going to want to run in the morning. And that is enough of this rambling blog. To the casual observer, riding a bicycle through the ice and snow in 21 degree weather might just be one of those activities reserved for extreme nutcases. Yours truly does indeed qualify for that category. 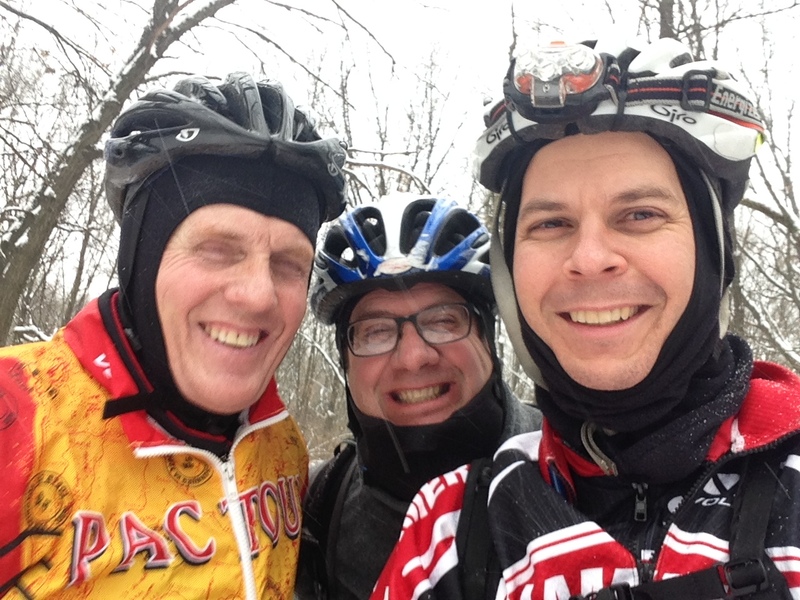 Today was January 1, 2014 and it means one thing for my friends and I — a bicycle ride. Usually we have a big crowd, a group of at least twenty riders, but today it was just the basket cases that showed. You are looking at possibly two of my best friends from the year 2013, our bond forged by our love for mountain biking. Jim, the guy in the yellow, has been a friend for many years. Jon was a new acquaintance in 2013. These guys are great, worth the effort to get out for a ride on a day like today. We didn’t freeze, although it had snowed all night and the trails had a thick layer of ice and frozen footprints or ruts in many places. It was a challenge to stay upright during the two and a half hours we rode. But we made it, smiles like the one in the picture frozen on our faces the entire time. That selfie was taken in the middle of our ride, so it should speak volumes about what a good time that ride was. One thing I found myself wishing for, besides better studded tires for my mountain bike (I purchased a used set of Nokkian Hakka 300 studded tires online yesterday), is one of those new snow bikes. They are bikes with huge tires, made for riding in the snow. We saw several riders on snow bikes today, rolling effortlessly along. I laugh at those bikes during the summer, not so much today. If I had plenty of play money, one of those snow bikes would be mine. Alas, play money is not one of my blessings. Thank goodness one of my blessings is friends, ones who ride bicycles!